Sunday, October 5, 2014 at 3:00 p.m.
We open our 2014-15 Trinity Concert Series with an Afternoon of Music, featuring tenor and Buffalo native Robert Zimmerman and soprano Amy Lynn Grable. This husband and wife due will perform works of Mozart, Verdi, Puccini, and Wagner. Experience some of opera’s most beloved arias, as well as operetta and musical theater highlights. A free-will offering will be taken; suggested donation $10.00. Robert Zimmerman is establishing himself as one of opera’s most promising young tenors with a voice described as clear, ringing, and incisive. He has performed the role of Roberto Devereux in Opera Sacra’s rendition of Donizetti’s Maria Stuarda and Turridu in Coro Lirico’s production of Cavalleria Rusticana. Mr. Zimmerman joined Union Avenue Opera in August of 2008 where he was described as glorious and engaging as Don José in Bizet’s Carmen. Earlier that year he debuted with the Amarillo Symphony, where he met with great success as the tenor soloist in Beethoven’s Ninth Symphony. In May of 2007, he had the great pleasure of joining The New York Philharmonic in a semi-staged version of My Fair Lady, under the baton of Maestro Rob Fisher of Encore series fame. In recent years Mr. Zimmerman has appeared with Augusta Opera, Chautauqua Opera, Lyric Opera Cleveland, Lake George Opera, Indianapolis Opera and Opera Northeast. He has also been privileged to perform with the Chautauqua, Staten Island and Indianapolis Symphonies. 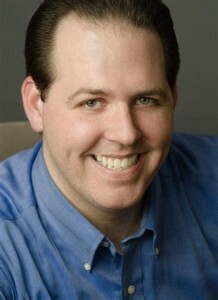 A 2007 semi-finalist in the Competizione dell’ opera held in Dresden, Germany, Mr. Zimmerman has also won awards at The Metropolitan Opera National Council Auditions and The Liederkranz Club Vocal Competition, and most recently was a second place grant recipient from The Gerda Lissner Foundation. Amy Lynn Grable received her MM in Vocal Music Performance from the University of Missouri-Kansas City Conservatory of Music and completed an apprenticeship with the Lyric Opera of Kansas City, where she was hailed as “exceptional” in the role of Zerlina by the Kansas City Star. A lyric coloratura soprano, Ms. Grable has been described as “clear-voiced” by the New York Sun and praised by the Cape Code Times for her “delectable” performance as Valencienne, where she “moved, acted, and danced with insouciance and grace.” Her opera credits include performances with Buffalo’s Opera Sacra, Dicapo Opera Theatre, Opera New England of Cape Cod, Opera New Hampshire, Chatham Opera, and Civic Opera of Kansas City. Her solo work includes performances with the New York City Gwen Gould Ensemble, and the Omaha, Kansas City, and St. Joseph, MO Symphonies. In addition to winning the Grand Prize National Federation of Music Clubs Young Artist Award, Ms. Grable was the Alpha Corrine Mayfield Opera Performance Winner, Gerda Lissner Encouragement Award Winner, Metropolitan Opera National Council Opera Auditions Regional Midwest Winner, Sigma Alpha Iota National Scholarship Winner, and Inspiration Point Opera in the Ozarks Award Winner. Ms. Grable has had the pleasure of working with voice teachers Bill Schuman and Inci Bashar, and voice coaches Nico Castel and Joan Dornemann. For those who may be attending their first concert at Blessed Trinity, the Landmark church building is located at 317 Leroy Avenue (between Fillmore and Grider) in Buffalo. It is wheelchair accessible with secured off-street parking.